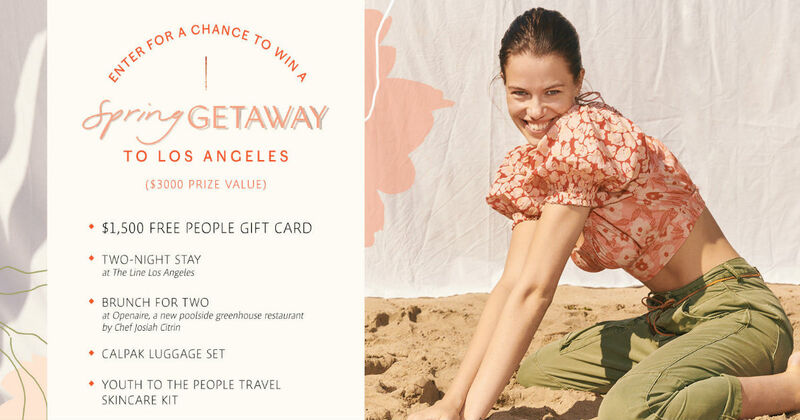 Enter for a chance to win a $1,500 gift card to Free People, a two night stay at The Line LA and a brunch experience for two at Openaire restaurant, Calpak Travel luggage, vanity case and silk travel set and a Youth to the People skin care bundle! Sweepstakes ends at 11:00 A.M. ET on 3/25/19.